Mendoza is the great throbbing heart of Argentine wine. The province is home to some 1200 wineries and produces over a billion litres a year – almost two thirds of the country’s total and nine out of ten bottles exported. 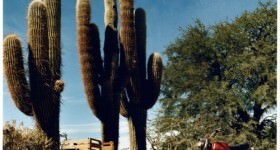 Almost all Argentina’s top producers are based here, even if many make wine from other regions, notably Torrontés from the northern province of Salta. 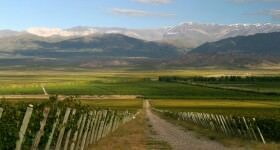 The reason for Mendoza’s pre-eminence in Argentine wine is partly due to nature, and partly to nurture. Nature because the best sites in the province have the prerequisites for making great wine – all those earthy, climatic influences the French call ‘terroir’, including a spectacular range of different altitudes. 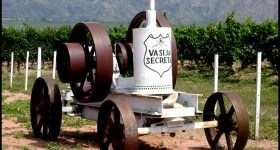 And nurture, because Mendoza’s small, but deep-rooted wine industry was given a mighty boost in 1885, the day the first steam train chugged in from Buenos Aires. 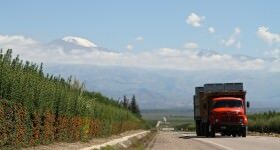 Up to that point, the winemakers were restricted to selling their wine locally, mainly to those living in the city of Mendoza, then a small regional hub. With the railway, they suddenly had access to all the thirsty porteños – as the citizens of Buenos Aires are known. As the wine flowed east, some of the thousands of immigrants who had arrived by boat from Italy and Spain, drifted west. Those who had come from European wine regions often gravitated to Mendoza, where many planted their first vines in the New World. The net effect is today’s wonderfully diverse range of grape varieties and styles. The province of Mendoza lies beside the Andes and rises to an oxygen-starved 6,962m (22,841 ft) at the summit of Aconcagua – the highest peek in the Americas. 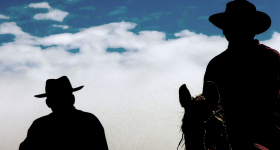 From there it descends to a high plateau and down to the semi-flatlands in the east before handing over to the mighty Pampas – land of beef and gauchos. From the Andes and the lower Precordillera range that runs alongside, various rivers flow from east to west, including the Mendoza river and the Tunuyán further the south. As the snow melts in the Andes, the rivers carry water to a number of oases from where it enters an irrigation system that dates back to pre-colonial times. Around each oasis, vineyards flourish while elsewhere the land is dessert. 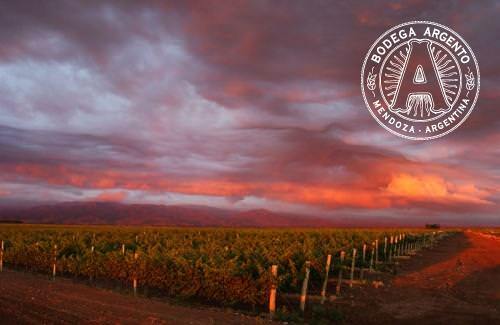 Though larger than England or the State of Florida, only 3% of Mendoza is cultivated. While much argentine wine is made to the north and around the edges of Mendoza city, the quality starts to improve as you head south down interstate RN 40. 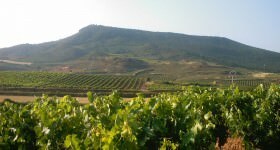 It is worth noting that some of the most intriguing and complex wines, particularly Malbecs, are blends of grapes grown at different altitudes from different regions. 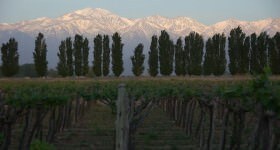 The region’s oldest wine stretches from Maipú, a southern suburb of Mendoza, to the other side of the Mendoza river about ten miles south. Malbec has been grown here since 1861, and in 1993 Luján de Cuyo became Argentina’s first official wine appellation. In altitude, the vineyards range from 700m – 1100m which allows day and night-time temperatures to vary by up to 20 C°. The higher you are, the greater the variation and the greater the intensity of UV light which enhances Malbec’s intensely perfumed nose. 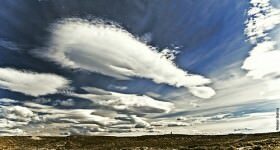 Within Luján, place names to look out for include; Las Compuertas, Pedriel and Agrelo. 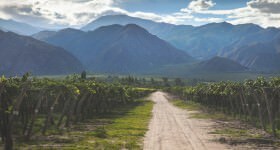 Further south, about an hour’s drive from Mendoza city, the Uco Valley was once a far-flung area of orchards (apples, cherries and apricots) interspersed with the odd vineyard, the oldest of which dates back to the 1890’s. Now, thanks to a surge of new wineries into the area over the last twenty years, it has been dubbed Argentina’s Napa Valley. 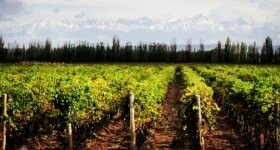 These pioneers may have been initially attracted by the price of land, then relatively cheap, but what they discovered was a viticultural paradise with loose-textured soil and the ability to plant at up to 1700m (the highest in Mendoza). The cool air flowing directly off the Andes, rather than the Precordillera, extends the difference in day – night temperatures leading to some of the most complex and aromatic Malbec you will find. Other red grapes like Merlot, Tempranillo and Pinot Noir seem to thrive here as does Chardonnay and Sauvignon among whites. Place names to look out for within the Uco Valley include; Zapata, Tunuyán, La Consulta and Tupungato, named after the snow-capped volcanic peak that dominates the sky-line. 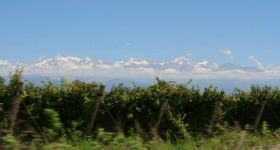 The most southerly wine region in Mendoza is three hours from the provincial capital, and lower lying than Luján or the Uco Valley. The day-time temperature is a little cooler and a wealth of other grapes including Semillon, Bonarda and Chardonnay do well besides Malbec. There can be a serious hail problem here, and with hail-stones the size of golf balls, many producers have had to invest in expensive, heavy-duty hail nets. Are these the current officially recognized sub-regions of Mendoza? Is there a place to get such information? Province, 1 around Mendoza city, 2 Uco Valley , 3 San Rafael . They are sub region inside each region.